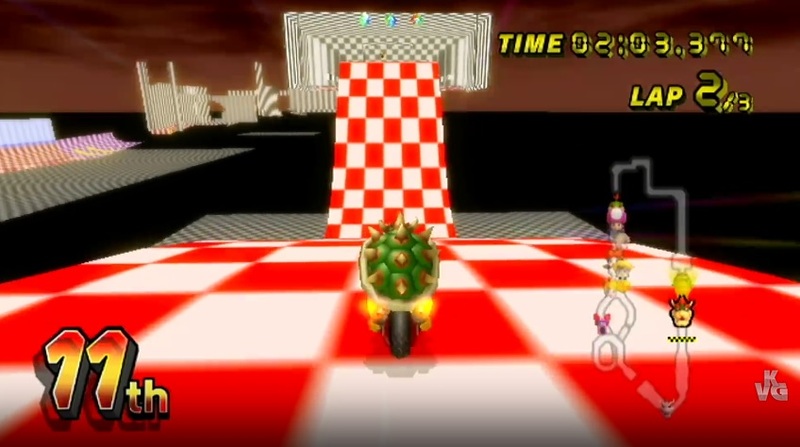 When it comes to unused content, there’s actually a surprising amount to be found in Mario Kart Wii. You’ve got emblems for unused characters, like Hammer Bro and Petey Piranha. You’ve got a whole mission system that resembles the one in the DS game (albeit without any real mission date included). And well, there are quite a few unused items in there too, like a Wiggler, Fireball and Chain Chomp. And what a history is it. For starters, it appears that Bowser’s Castle began development shortly after the game was initially shown off E3 2007, while the final version was only finished around March 21st 2008, only about a month before the game’s release. This hints that quite a few things had changed over time, and that for some reason, the early version of Bowser’s Castle was scrapped or redone from the ground up for the final game. It also turns out that the track was created in a piece of software called Jmap by a developer called Kosuke Yabuki, better known ARMS on the Nintendo Switch. So, it seems like our favourite ARMS producer was also responsible for Bowser’s Castle in Mario Kart Wii, which is a pretty neat detail (and yes, he is also listed in the data for the final course too). As for the course design itself, well there doesn’t seem to be much difference in that regard. The map is very similar to the final game, the position of the walls and obstacles is similar to the final game and the same objects from the final track are used in this version too. There are some minor changes shown in Kevin’s video (like the pillars on the moving floor section being part of the geometry rather than object, and item boxes being placed differently), but it’s pretty much the same in most major respects. Still, regardless of the reason, it’s fantastic to see how games like this have changed during their development, and the level of detail in KevinVG207’s video on the matter is absolutely astounding. Check out his video, share it and maybe download the fixed version of the track from the Tockdom wiki too. Because it’s well worth it! Super Mario Odyssey’s Luncheon Kingdom Becomes a Mario Kart Wii Track! 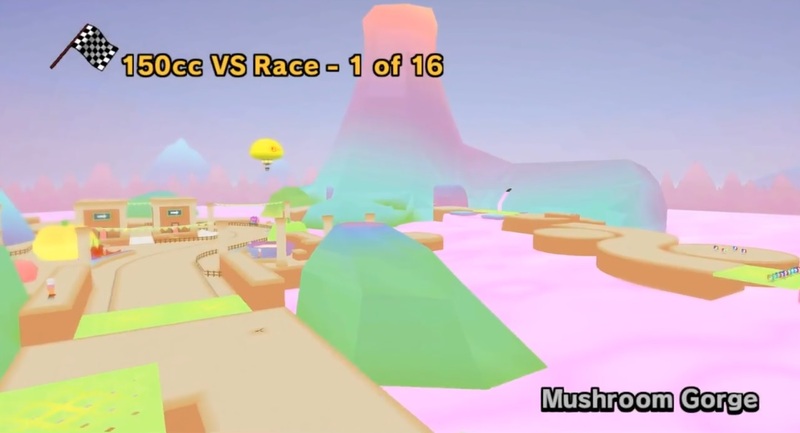 Super Mario Odyssey’s RC Car Track Has Been Ported to Mario Kart Wii!